Aww snap, a hat section. 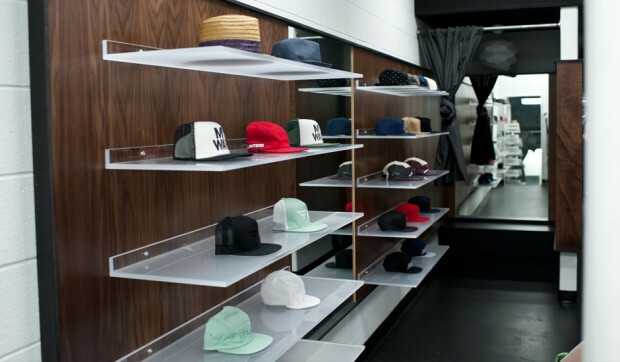 The Illest shop in Little Tokyo, L.A. just went through a remodel. The new shop layout looks good! The original layout had a lot of room to play with, I’m happy to see them make use of it. It has me tempted to hit up the shop this week now. This entry was posted on October 25, 2011 at 12:39 AM and is filed under Fashion, News with tags Fatlace, fatlace.com, Illest Los Angeles, ILLEST Store, Illest Store Re-Opening, Illest Store Reopening. You can follow any responses to this entry through the RSS 2.0 feed. You can leave a response, or trackback from your own site.